Wonder Woman 2 is set to open in theatres December 19, 2019. Variety reports that the sequel to this year's superhero smash hit will fill the slot that previously housed an "untitled WB event film". Wonder Woman director and co-scribe Patty Jenkins is currently working on a treatment for the sequel with Geoff Johns, joint overseer of the DCEU. Recent rumors point to it possible taking place during the Cold War in the '80s. Gal Gadot will return to play Diana in the sequel. Warner Bros. has not yet announced whether or not Jenkins will return to direct. 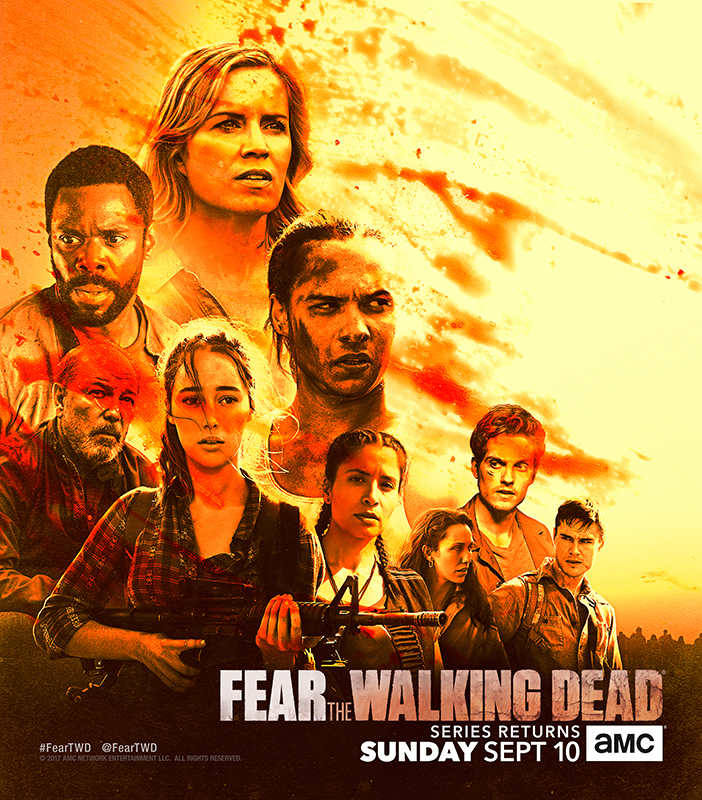 AMC today released special Comic Con art for The Walking Dead and Fear the Walking Dead. The Walking Dead key art also reveals October 22nd as the season 8 premiere, which coincides with the series’ 100th episode. Dark Horse and Blizzard Entertainment have announced the third installment in the World of Warcraft Chronicle book series, due to go on sale March 27, 2018. World of Warcraft Chronicle: Volume III features artwork from Peter Lee, Roman Kenney, Stanton Feng and Joseph Lacroix, while writing duties have been tackled by Chris Metzen, Matt Burns, and Robert Brooks. The third volume of World of Warcraft Chronicle will focus on the events "that shaped the modern history of Azeroth and delves into the backstories of Arthas Menethil, Illidan Stormrage, Jaina Proudmoore, and other iconic World of Warcraft characters." World of Warcraft Chronicle: Volume III will go on sale March 27, 2018 for USD$39.99. Check out its cover art below. The sequel to this year's DCEU hit Wonder Woman may very well be set during the Cold War. As per production details reportedly obtained by Screenrant, Wonder Woman 2 will be set during the 1980s, and pit Diana against the Soviet Union in the Cold War's last days (The Wrap has subsequently reported that Screenrant's findings are correct). Producer Geoff Johns will return, and is currently developing a script for the sequel with Wonder Woman director Patty Jenkins. Spoilers for Wonder Woman ahead. The Batman director Matt Reeves has promised "a very emotional Batman story," while paying tribute to former Batman helmer Christopher Nolan. Speaking to Yahoo Movies on a promotional junket for his upcoming film War for the Planet of the Apes, Reeves said that he hopes to tell "a very emotional Batman story", drawing parallels between the Dark Knight and the hero of his Apes trilogy, Caesar. Evan Peters will be reprising his role as Quicksilver for Fox's upcoming X-Men: Dark Phoenix movie. THR reports that though Quicksilver was not part of the Dark Phoenix comic book saga, he was enough of a fan favourite in the X-Men film series that he's being written into Simon Kinberg's new flick. The publication also notes that Lamar Johnson (The Next Step) is also joining the packed cast, which includes James McAvoy (Professor X), Michael Fassbender (Magneto), Jennifer Lawrence (Mystique), Nicholas Hoult (Beast),Sophie Turner (Jean Grey), Tye Sheridan (Cyclops), Alexandra Shipp (Storm) and Kodi Smit-McPhee (Nightcrawler). It was recently revealed that Dazzler will make an appearance in the movie. Josh Brolin has revealed another photo of his gradual transformation into Cable in Deadpool 2. Sony has released the international poster for Spider-Man: Homecoming. 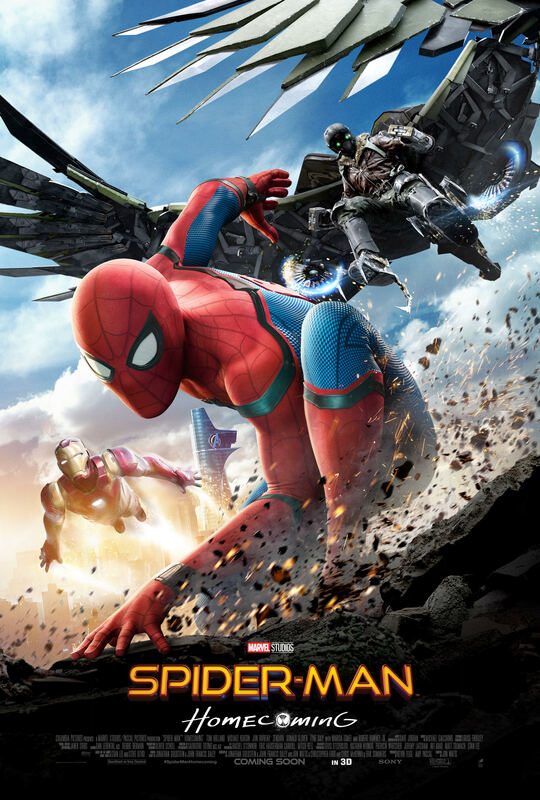 The poster features Spidey (Tom Holland) front and centre, flanked by Iron-Man (Robert Downey Jr.) and The Vulture (Michael Keaton). The Avengers Tower can be seen in the background. Sony has dropped the poster simultaneously with both international and domestic trailers for its upcoming flick, which lands in theatres July 7 in the USA, July 6 in Australia, and July 5 in the UK. For more on Spider-Man: Homecoming, here are 17 things we learned on the set. Comic book artist Mike Mignola has just revealed that his most famous creation, Hellboy, is going to receive the movie reboot treatment. The reboot will be R-rated, said Mignola on social media, and be helmed by The Descent and Dog Soldiers' director Neil Marshall. David Harbour, most recently known for his role as Police Chief Jim Hopper in Stranger Things, will replace Ron Perlman as the eponymous red superhero. That's all the information Mignola has released so far, but he promises "more news to come soon." The reboot news follows original Hellboy director Guillermo del Toro's admission that despite his best efforts, there will not be a Hellboy 3. del Toro's last Hellboy movie was Hellboy II: The Golden Army, released in 2008. 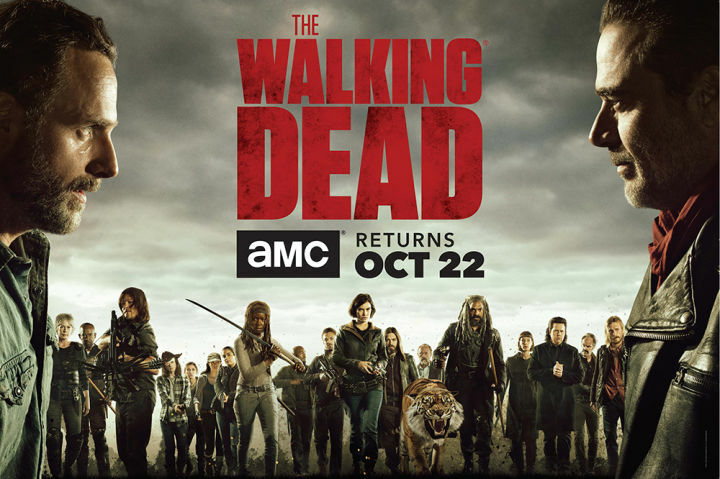 In 2015, Perlman revealed that del Toro already had an "incredibly theatrical" plan for what a third installment would entail, and said that the core team behind the series "owe it to the fans" to make the film. A new rumour suggests that Jaume Collet-Serra is in the mix to helm Suicide Squad 2 if first pick director Mel Gibson passes. The rumour comes from Entertainment Journalist Jeff Sneider during a recent appearance on Meet the Movie Press (via BatmanNews). "The name that I have heard, who could be in the mix, is Jaume Collet-Serra", said Sneider, who went on to explain that Collet-Serra is a home grown director for Warner Bros., having cut his teeth on Warner horrors House of Wax and Orphan (his most recent film was The Shallows, the Blake-Lively starring shark movie). "He delivers hit on a mid sized budget, he can make a lot out of a little," said Sneider.